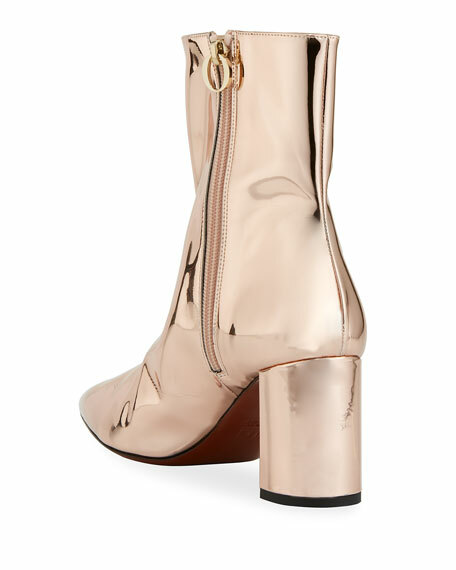 O Jour patent leather metallic bootie. Side zip with logo-charm pull. 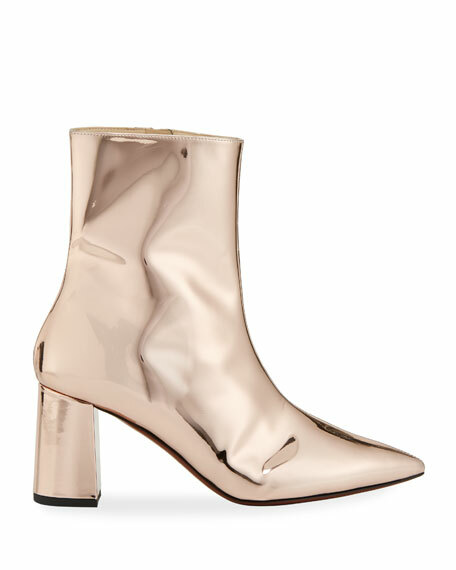 Italian designer Giorgia Caovilla, daughter of renowned shoe designer Rene Caovilla, introduced her own line after working with her father for a decade. Her collection, O Jour, focuses on luxurious styles that are versatile enough to complement a woman's daily life. 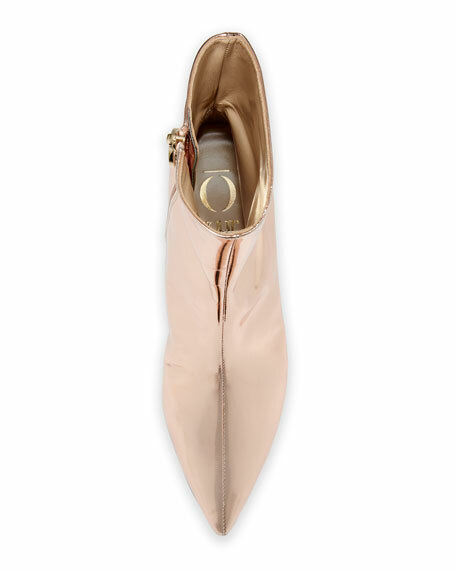 The artistic yet practical shoes in the O Jour collection are all made in Italy. Off-White "For Riding" crocodile-embossed calfskin boots. 3.3" covered block heel. Square toe. Harness straps at sides. Faux-fur (wool) trim at front and back. Canvas vamp with cutoff "For Riding" text. Padded footbed. Smooth outsole. Made in Italy.